Customizing standard objects, creating custom objects, triggers, rules etc. Case management, case escalation, case routing, account/lead/opportunity management etc. User/role/profile/sharing rules including SSO and making inbound/outbound API calls etc. Access to corporate healthcare insurance, including dental and vision. 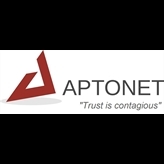 Want to get notified about new jobs at Aptonet Inc?